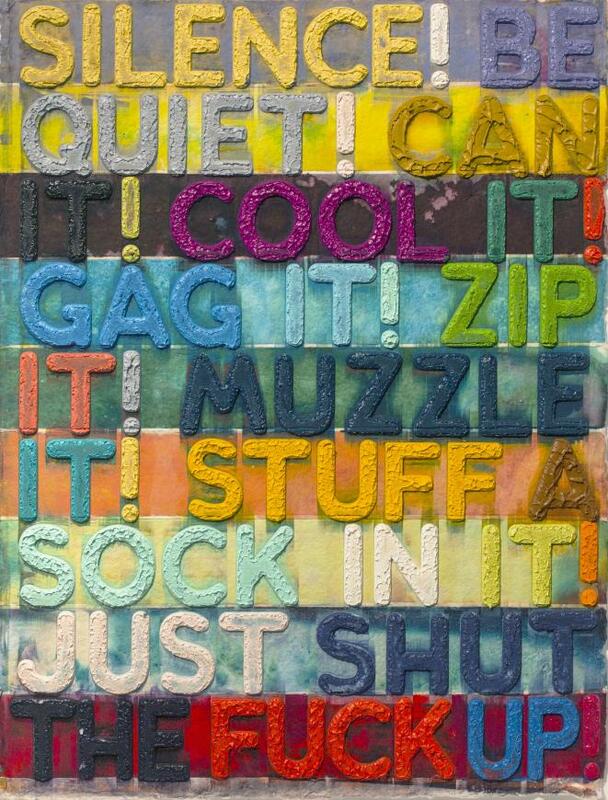 A founding figure of the Conceptual Art movement of the 1960s, Mel Bochner explores the possibilities of language as image, medium, and content in his works. 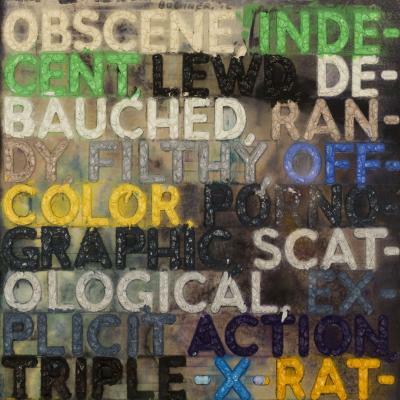 The use of words as sources for painting stems from Bochner's interest in philosophy on the one hand, and humor and popular culture on the other. 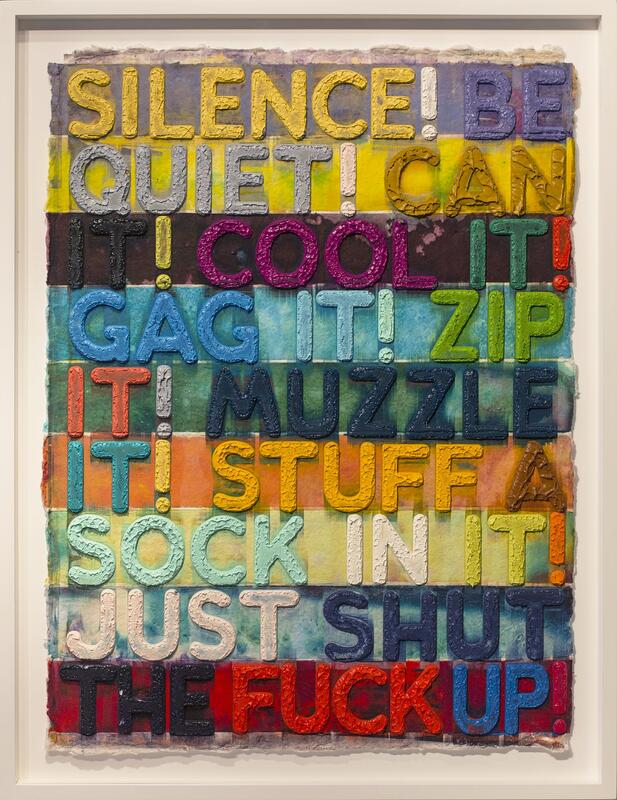 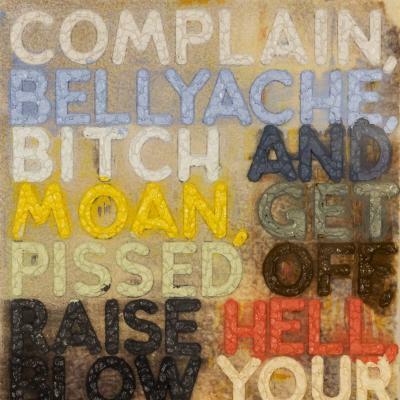 Repetition of words plays a role in Bochner's works as can be seen in our example. 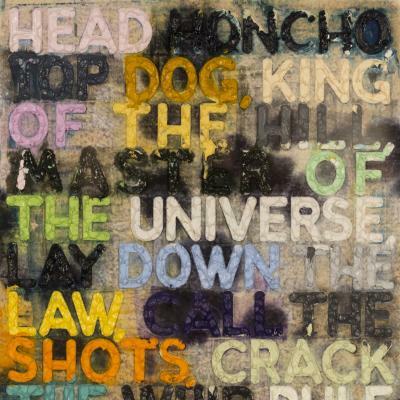 For some 45 years Bochner has explored the intersections of linguistic and visual representation, developing an art that causes us to read and see simultaneously—to "think" as we look.